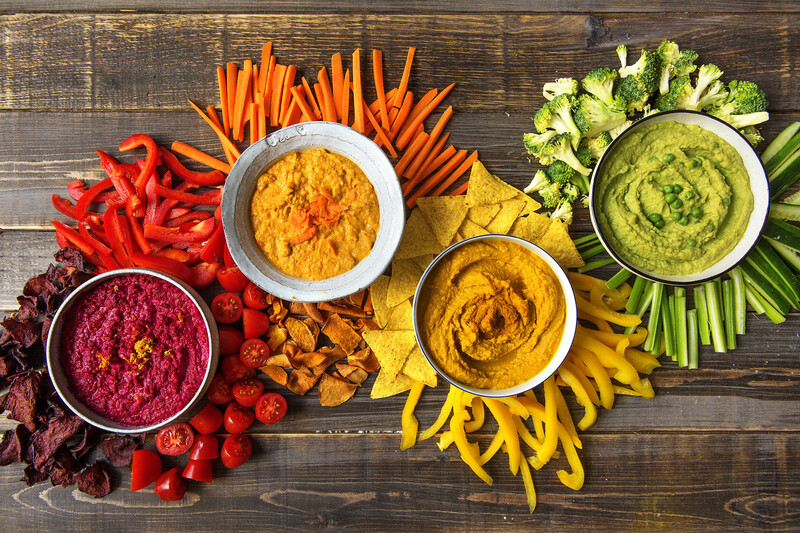 We cordially invite you to double dip deep into these four creamy and colorful hummus bowls. 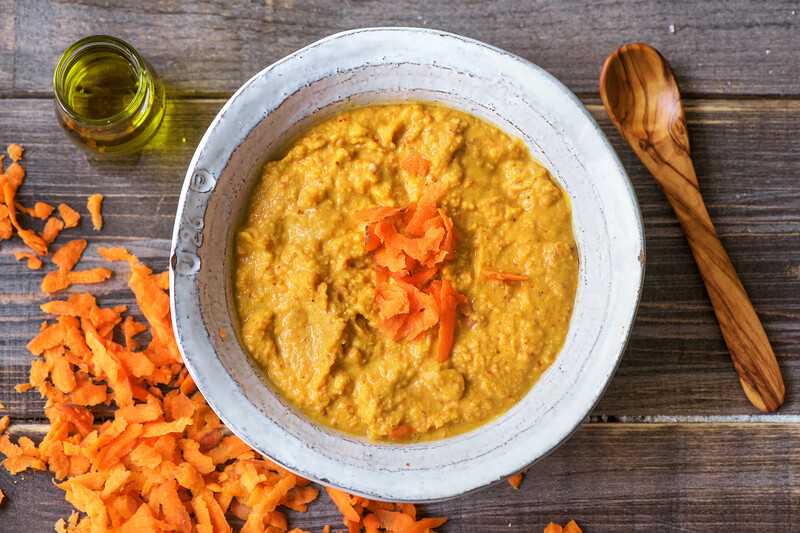 Continue reading to discover the special ingredient in each recipe plus genius ideas for what to eat with hummus. 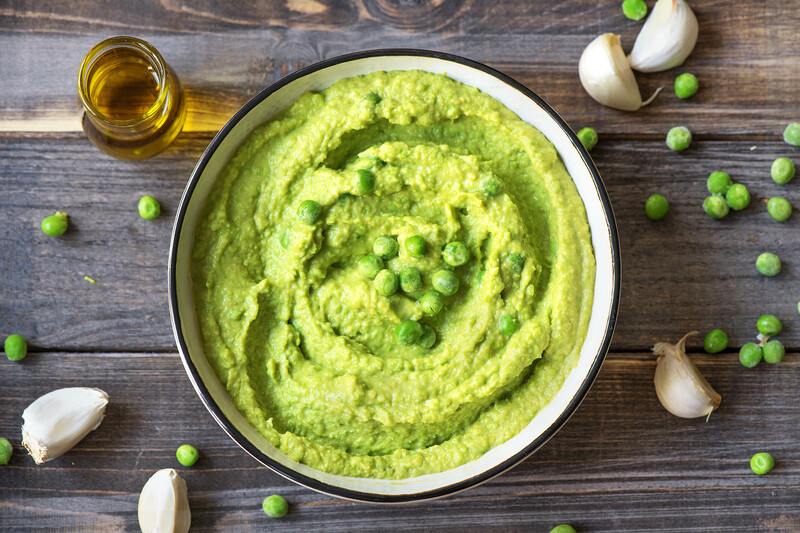 Bust out the chickpeas, dust off your blender, and kiss store bought dips goodbye. It’s homemade hummus time. Although the base for this thick Middle Eastern spread is standard — cooked chickpeas, lemon juice, garlic, and olive or sesame oil — it lends itself to an infinite amount of creativity. Some swear by a generous swirl of tahini or a kick of zest, while others can’t fathom the dip without herbs. 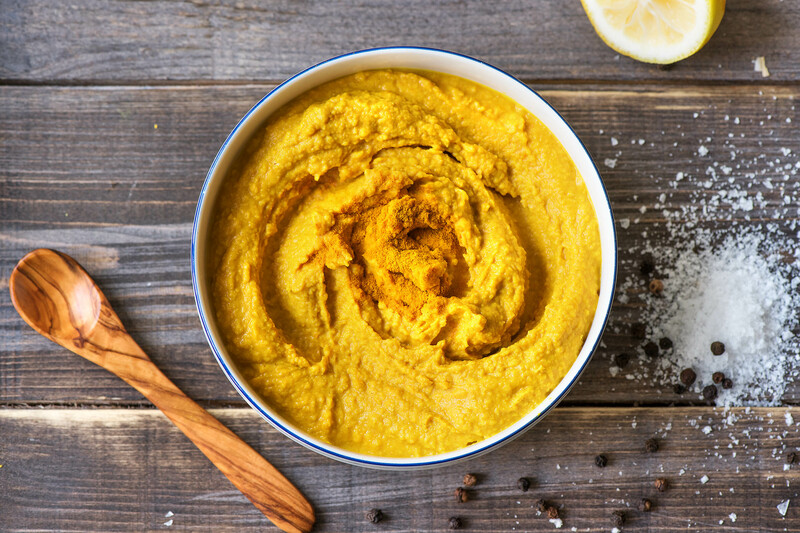 One afternoon a few weeks ago, we asked our chefs to work their magic on this tangy, protein-packed dip. The result? 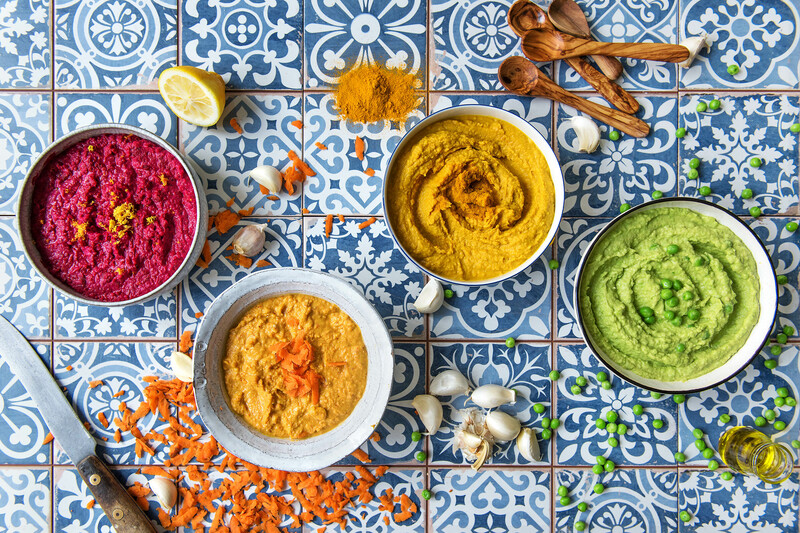 Four vibrant hummus recipes that cover (almost) all the colors of the rainbow thanks to the addition of a little something special in each one. And remember! You can’t go wrong, so feel free to experiment by adding or removing whatever you want. You’re the boss. Now say that out loud: I’M THE BOSS. That’s more like it. 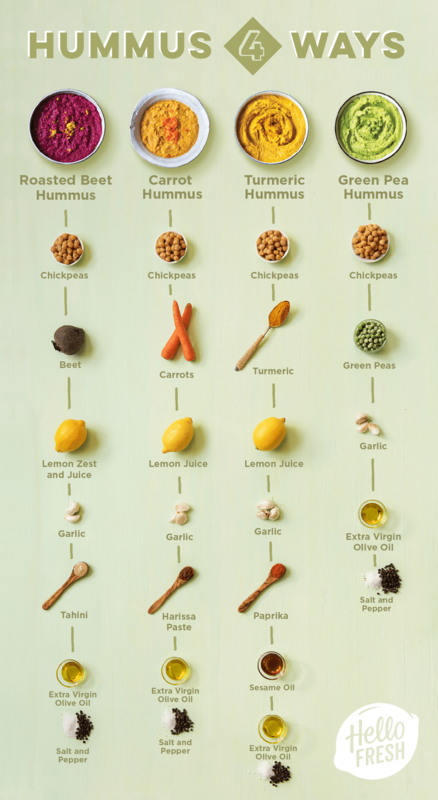 Now that you know what to put in hummus, let’s talk about what to eat with hummus. After all, a dip is only as good as its accompaniment. So take a cue from our chefs and don’t settle for your ordinary corn chips. Instead, stock (and color coordinate) your platter with everything from root vegetable chips to raw carrots, peppers, grape tomatoes, broccoli, and celery. If those stunning colors don’t have you convinced, this definitely will. Learn why beans are one of our all-time favorite superfoods. Is this something we can order to be delivered to our house? Are you selling boxes of ingredients? Julie – With HelloFresh, you can get a box of chef-curated recipes with all the pre-measured ingredients you need to make the recipes delivered straight to your door each week. How amazing is that? Head to our website to learn more and get cooking! !